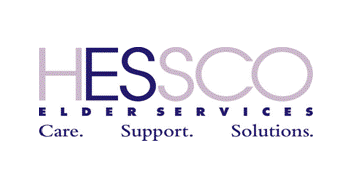 HESSCO Elder Services, Inc. will hold its 9th Annual Caregiver Conference at Lake Pearl Luciano’s in Wrentham on Tuesday September 24, 2013. Doors will be open from 9am to 3pm. The keynote speaker for the event is Dr. Lynn Serper, inventor of the Serper Method™, an innovative program of brain exercises designed to improve memory and cognitive capabilities in persons with memory or neurological impairments. In addition, caregivers have the choice of six break-out sessions spanning from education on legal documents, insurance matters, and advice on the connection between nutrition and cognition, to a workshop on aromatherapy and a support group for male caregivers. There will also be a creative-writing workshop. Over 40 professional organizations and service providers will take part in an exposition offering valuable information and resources to caregivers. Throughout the event, caregivers can find relaxation by observing a water color demonstration and/or taking advantage of a reading corner or meditating. On the day of the event, participants can sign up for a choice of Reiki, a hand pampering treatment, a chair massage or aromatherapy. Caregivers in the US provide an estimated $450 billion worth of unpaid care. The conference is HESSCO’s way of thanking them for their valuable contribution. The fee to attend is $15.00 per person which includes admission, continental breakfast and a buffet lunch. To register, please contact Kristin Heuwold, Family Caregiver Specialist at kheuwold@hessco.org or 781-784-4944 x 253 or register online at www.HESSCO.org.